Update: 8th October 2014 As the new season is now upon us, I thought it was as good time to repost this for new SpoilerTV readers. I have been very kindly invited to start contributing to this great site with some ratings analysis and predictions about renewals and cancellations for the broadcast networks. However, before I start doing that, I thought it would be useful to come up with some type of guide to those who are less acquainted with the way renewals and cancellation work as well as the ratings system in general. Click on the following sections title to expand/collapse the various items of information. 1. How do networks decide between renewing and cancelling a show? - The only comparisons that matter are from shows within the same network! Therefore, as nice as it is for a show to come first in its timeslot, that doesn't help its renewal chances if it is still the least profitable show on the network. I would also add that, for the most part, you are better of sticking with comparing comedies with comedies and dramas with dramas rather than by mixing them all up. - It is all relative! This means the absolute ratings are of little use when evaluating a show's renewal chances. This implies that notions such as "if my shows falls between a 1.8 is doomed" is likely to be a misconception because that 1.8 is, in itself, a moving average, which means that if the numbers for your show go down, it is fine as long as the numbers for the rest of the network go down on a proportional amount. Both of these imply that the end-product of any renewal/cancellation prognosis is a pecking order for the shows of a network, as in, which show will the network pick as first renewal, as second, as third, and so on and so forth. Typically, the hardest part is to figure out how many shows will the network renew in that year; the best we can come up with is the ranked list of preferences and then try to extrapolate potential networks decisions using their past history. When airing a show, networks sell ads to advertisers that are then placed in the commercial breaks of the show. The amount paid by the advertisers is the main driver of revenues for a show. However, not all shows are equally priced. As I will explain in a subsequent section, the main driver of these ad-rates are the C3 18-49 numbers (as well as it sub-demo groups); the higher this number is for a certain show, the more the networks can charge advertisers, so the higher the revenues of that show will be. Another point to take into account here is that you should never look at the entire seasonal averages of a show to judge its renewal chances! You should always use, or at least weight significantly more, the most recent ratings as opposed to earlier season ratings (this is the same as saying that you should take into account the trend the ratings are following). Remember, networks are not interested in evaluating, backwards, how much money the show made them that year but, instead, how much money will the show make them next year, if renewed. When a show hits a certain number of episodes (usually assumed to be around 88), it can be sold into syndication to other channels, which drastically boosts the shows revenues and, thus, its profitability. Although it is possible to sell shows with less than 88 episodes to syndication, it is generally believed that the financial attractiveness of the syndication packages is significantly increased when 88 episodes (4 complete seasons) are produced. This means that, sometimes, it may be worth for the network to foregone some potential advertising revenues and keep a lower rated show since it will generate higher profits in the future due to syndication. Presumably, a show like Raising Hope may have a negative operational margin for FOX during its 4th season (as in costs> advertiser revenues) but FOX is better off keeping it because it will get syndication money from it. Moreover, I also find evidence to assume that the package becomes even more attractive with 100 episodes (which used to be the old mark for syndication). Even after these 100 episodes, syndication can also play an important role, because the more episodes are produced, the more episodes are sold into syndication. Now, one thing you have to bear in mind here is that even though virtually all shows can be syndicated, not all shows have the same syndication potential. Obviously, the higher rated the show is (and the higher rated its repeats are) the more other channels are willing to pay for the show, so the highest its syndication value is. Exactly by how much syndication boosts shows it is something that nobody is quite clear yet. I think everyone accepts that it is somewhere between 40%-80%, and I am actually more willing to go for the higher end number than the lower one, but you can feel free to disagree with the exact value I use until definite evidence has been produced on this. Likewise, I typically assume a 20% bump for shows approaching the 100 episodes, but again, feel free to disagree with me on this to the extent of which is the exact number. Regardless of the number, syndication doesn't automatically save a show as it is commonly assumed. If the ratings differential between that show and the other shows on the network are too large, then syndication may not be enough to compensate for the losses the network would incur by keeping the show and cancelling a higher rated show. I think this will become clear later when I present an example. I’ve already mentioned the importance of the number of episodes when dealing with syndication. However, another importance of the # episodes is when it comes to freshman shows. Freshman shows are always the shows in worst shape to be renewed from a network, everything else being equal. This is due to two reasons: a) they are the ones furthest from syndication, as explained before and b) because they are newer shows, they are more prone to experience more drops in subsequent seasons than established shows. This doesn’t mean that there aren’t sophomore bounces occasionally, but this is the general trend you observe. For these reasons, I found that it significantly increases our prediction power to add a penalty to the numbers of newbie shows, more or less in the order of 10% (as always, the exact numbers are debatable). Networks are typically less strict with their Friday shows, allowing them to air at lower ratings. A lot of times this is because these shows are already approaching syndication, so that’s why they are being kept. However, even when that is not the case, networks are usually more willing to tolerate lower numbers there because they know that it is harder to find something else for the day that will do much better. In other words, they are not foregoing huge profits by keeping the shows there (as opposed to, let’s say, keeping a flop show in a prime 9pm Thursdays timeslot). I usually assume a bump of about 20% to Friday shows because of this. Note, however, that any other timeslot consideration such as a show facing huge competition, having poor retention out of a huge lead-in, etc., although important when analysing moves the network can make, are almost never shown to be taken into account by networks when making their renewals or cancellations decisions. I almost didn’t include this section here because honestly, the 4 factors above account for something like 85% of all renewals and cancellations decisions. Most of the “other factors” that networks try to spin on you are PR tricks only. Stuff like on-line viewing, international sales, DVD sales, awards, on-line popularity, dedicated fan bases etc. has yet to be proven statistically relevant when it comes to renewals or cancellations of shows. You can use them to measure popularity, but if you are interested in measuring likelihood of renewal, you should ignore these for the most part. - cost considerations: even though I usually assume that all shows within a network are produced at roughly the same cost, there are some exceptions such as shows in co-productions agreements being cheaper (Hannibal, Dracula, Crossbones) or shows with abnormally high production costs reported (Terra Nova, Two and a Half Men). Sometimes, it is okay to assume that older shows become more expensive as they go on, but I would advise caution with this, because not only it depends on how effectively they rotate the cast (new cast member are typically cheaper than older ones) but also because the effect of producing additional syndication episodes typically counterbalances this. - production company/ show creator: if a show is produced by the network studio, it could be that there are extra incentives to keep it that a bought show doesn’t have. This effect is hard to measure with the limited sample I have access to though, so I am not sure yet on how to quantify it but I think it's foolish to completely ignore it too. - schedule considerations: sometimes, the decision for which show to let go as to do with what will go to the timeslot when the show is let go. This is hard to measure and I am not exactly sure of how relevant this is, but it seems reasonable to me to accept that ABC was more willing to put something like The Neighbours on Fridays than something like How to Live. Moreover, two years ago, CBS reportedly cancelled CSI: Miami instead of CSI: NY because they were already launching Made in Jersey on Fridays so they thought it would be best to keep the rest of the night unchanged and revamp Sundays instead with the Mentalist; even though I am not sure how much of this is exactly true, it may be worth considering. Remember, however, that these factors will only make an impact on marginal cases! This means that if one show is to be cancelled, it will be TCD; if it is two shows, it will be HoD and TCD; three show, TTP joins them; four shows, only TVD survives; and 5 shows, all are cancelled. Note that now, if two shows were to be cancelled, it would be TTP and TCD instead of HoD and TCD! Syndication could save Hart of Dixie if the cw cancels two shows only. Note, however, that if three shows are cancelled, Hart of Dixie would still go regardless of syndication - it is not a magic potion that solves all, even though it can definitely help! Note that now, if four shows were to be cancelled, Arrow would be the sole survivor rather than TVD! In this case, this actually didn't produce any changes in the relative standing of the shows, even though the gap between HoD and TTP got larger, thus indicating more danger for TTP. However, it could easily be the case that this would result in changes on the relative standing. As with syndication, Friday factors are not miracle workers. Even though TCD received some bump, it is still easily the most likely candidate to be cancelled unless the CW decides it wants 5 returning hours of dramas. I hope you got the idea! My point is not to convince you that my % bumps are correct or incorrect for now (they certainly aren't 100% correct, I am aware of that), but hopefully you believe that their range is more or less correct and hopefully you understand a bit of how I think we should try to predict renewals and cancellations. Notice that, because so much is approximations, there is no meaning in declaring that a show with a 0.7 instead of a 0.6 is significantly safer. However, there is plenty of room to declare that something with 1.42 is significantly safer than something with 0.93 (in the example), which at least works to prove some misconceptions such as the "syndication saves all" idea. 2. What is the meaning of all the numbers that networks spin? Unlike popular belief, the purpose of the ratings system is not to measure popularity. Television is a business that generates its revenues from having advertisers paying networks to show their adds during shows. The shows are just the vehicle that networks use to attract people to their channels so as to watch the adds. Therefore, the purpose of the rating is not to measure how many people watch the show (international sales, illegal torrents download, internet streaming, etc.) but how many people watch the shows commercials. 2.2 What are the different numbers that we see about a show’s performance? - 18-49 Rating: percentage of people aged between 18-49 that watched the show. For the 2013/2014 TV Season, the estimate is that a 1.0 rating point is equivalent to about 1.268 million people aged 18-49 watching the show. - You may find a lot of other subsets of demo, such as 25-54, Men 18-34, Men 18-49, Women 18-34, Women 18-49, Teens, High Income Men 18-49, High Income Women 18-49, High Income 18-49 etc. The rationales are the same as for the 18-49 Rating and the 18-34 Rating: it is always a percentage of the total universe of the subset group. 2.3 Which of these numbers count and why? 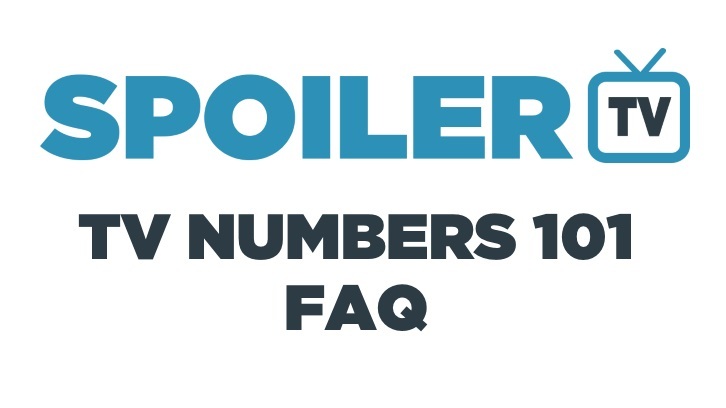 The most relevant number to evaluate a show’s likelihood of coming back next season (i.e. the show’s profitability for the network) are the 18-49 ratings. Does this mean that total viewers are basically irrelevant? Yes. However, unlike what is commonly thought, this is not because advertisers don’t believe these people to have purchasing power. In economics, one of the most basic characteristics you have to take into account when thinking about any model is scarcity. Here, it is the same thing. In fact, what happens is that viewers >50 are perceived by advertisers as being easier to reach. This happens because they the ones that watch more TV, meaning for instance that if they are not caught by the ads of program X, they will be caught by the ads of program Y. Usually they also watch more daytime TV, which also helps in being more easily “reachable”. If there were to be a huge demographic revolution and the youth started to be glued to the TV all the time and older people would never be in front of their TV, then I can guarantee you that the system would change to reward those TV shows that would get people >50 to sit in front of their TVs. This is why you should practically ignore the Total Viewers (and Household) metrics. 18-49 is the most relevant one. 2.4 What about the other subset demos? The other subset demos, unlike total viewers, might be useful. The key here is the same as in the explanation before: scarcity. Because 18-34 are even harder to reach than 35-49, then advertisers are willing to pay a premium for shows that can get these viewers to sit in front of their TVs. That is why you see very big ad-rates for shows like New Girl, The Mindy Project or the Fox Cartoons on Sundays! The cartoons also have the advantage of being among the few shows that skew more male than female; again, because male are scarcer and harder to come by, networks pay a premium for shows that do get them, which is why the cartoons do so well with advertisers. Therefore, these numbers can matter and make a difference. The 18-49 are still the main indicator, but further demo breakdown information can help when deciding on the fate of bubble shows. 2.5 What are the different time windows to which these numbers can be applied? - Live+SD: It refers to the viewing that occurred live or until 3 am on the night the show aired. These are the numbers that we see everyday when the ratings from the previous night come out. This measure disregards whether you’ve watched commercials or not. - Live+3Days (DVR-L3): It refers to the viewing that occurred live and that occurred within 3 days from the original airing date. It also disregards whether you’ve watched commercials or not. - Live+7 Days (DVR-L7): It refers to the viewing that occurred live and that occurred within 7 days from the original airing date. It also disregards whether you’ve watched commercials or not. - C3/ C7: It refers to the viewing that occurred live and that occurred within 3/7 days from the original air date. However, this number only counts viewers that effectively watched the commercials. You can then have different combination of measures and time windows, such as 18-49 C3 numbers, 18-34 L7 numbers, Total Viewers Live+SD numbers, etc etc. 2.6 Which of these numbers matter when deciding on renewals and cancellations? The number that is used to set ad-rates is the C3 one. This is because, as explained before, what is being measured is how many people watch the adds on a show and not how many people watch the actual show. - If you watch a show after its airing up until 3am of the same night but you skip commercials, then your viewing is counted for the Live+SD sample but it is taken out of the C3 numbers. Because these typically cancel out each other, it is widely assumed that the Live+SD numbers are a good proxy for the C3 numbers. 2.7 Does this mean that the remaining DVR numbers are irrelevant? - It can provide meaningful information about the possibility of a show being moved. If a show has abnormally high DVR numbers, it may be that it is airing too late for its intended audience or that it is airing against competition that is too aggressive, but that it still has enough 18-49 people watching it to be feasible elsewhere. This may help networks to decide on marginal situations. Apart from these small tidbits, you should ignore DVR rating for the most part when assessing a show’s renewal or cancellation prospect. Most of all, do not make the mistake of saying that because your show has a 2.5 on L7 ratings, then it is safer than a show with a 2.1 on Live+SD ratings. You always need to compare apples with apples! 2.8 What is the difference between the preliminary and the final ratings we see everyday? - preliminary: they are the fastest ones to come out and they measure the amount of people that were watching the channel at a certain period of time. - finals: they come in later and measure the amount of people that were watching that specific program. - if a show runs later (or starts later), that has to be adjusted. So, let's say, that Modern Family finished at 9h32 instead of 9h30. Those extra two minutes were initially counted as part of Super Fun Night's ratings and have to be taken out of there and added back to Modern Family's ratings. - if a show is pre-empted (i.e. certain affiliates show a different program, typically sports events or special news editions), then the initial numbers will count these other shows as well, which then have to be taken out of the final numbers. The final numbers are the only ones that matter in the end. 3. How are Ratings Collected? Ratings are collected from Nielsen Families who allow their viewing habits to be tracked and recorded. These numbers are then statistically processed and the ratings you see are created. We've taken the following directly from Wikipedia. 1) Viewer "diaries", in which a target audience self-records its viewing or listening habits. By targeting various demographics, the assembled statistical models provide a rendering of the audiences of any given show, network, and programming hour. 2) A more technologically sophisticated system uses Set Meters, which are small devices connected to televisions in selected homes. These devices gather the viewing habits of the home and transmit the information nightly to Nielsen through a "Home Unit" connected to a phone line. The technology-based home unit system is meant to allow market researchers to study television viewing habits on a minute to minute basis, seeing the exact moment viewers change channels or turn off their TV. In addition to set meters, individual viewer reporting devices, such as people meters, have allowed the company to separate household viewing information into various demographic groups, but so far Nielsen has refused to change its distribution of data of ethnic groups into subgroups, which could give more targeted information to networks and advertisers. Changing systems of viewing have impacted Nielsen's methods of market research. In 2005, Nielsen began measuring the usage of digital video recordings such as TiVo. Initial results indicate that time-shifted viewing will have a significant impact on television ratings. The networks are not yet figuring these new results into their ad rates due to the resistance of advertisers. 3.1 Can we trust Nielsen numbers? - if you understand something about statistics, you know that this is the way that it works and you know that provided that the sample size is large enough, which there is reason to believe it is, we can trust the numbers with reasonable confidence (typically around 90-95%) that they are representative enough of the entire population. If you don't believe me, think of it this way: advertisers would not be stupid enough to pay decades and decades for something that depends on these numbers unless they were confident these were true! a) despite the accuracy of these statistical methods, there is still room for some margin of error (5-10%). These adjustments typically fall within said margin of error and should be disregarded. b) there is a rounding error in the numbers we see. A good example of this is The Tomorrow People. The show opened with 1.084 million 18-49 viewers (0.9 rating). The second week it had 1.079 million 18-49 viewers (0.8 rating). Because of rounding, the first week looks much better than the second if we look at ratings. In fact, even though the show only fell by 0.5%, looking at the rating it looks like an 11% decline! These type of issues is more frequent the lower the demo is, which is why I advise special caution especially when it comes to the cw! Bottom line: Nielsen is trustworthy, yes, but you should ignore minor adjustments in a show's ratings. If you have any further questions or if you have comments, please let me know! Disclaimer: Most of the above is factually based although some of the information is extrapolated from past analysis and interpretation.